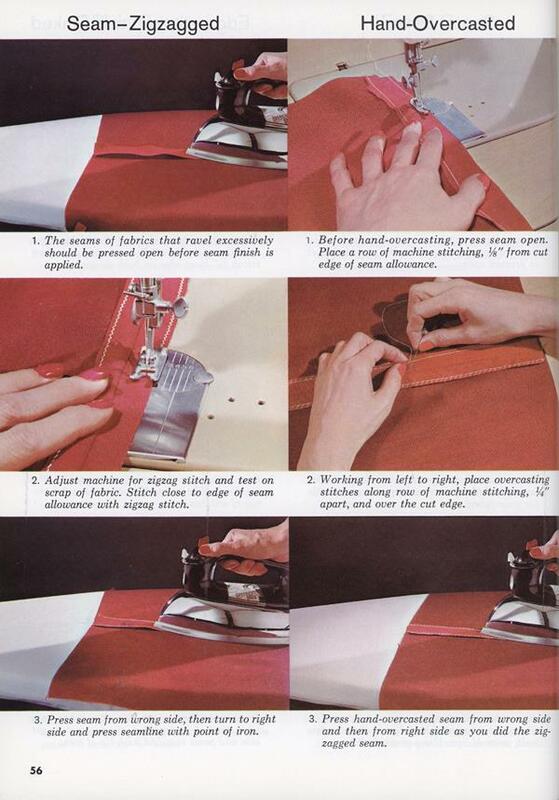 This sewing book isn’t really too bad. 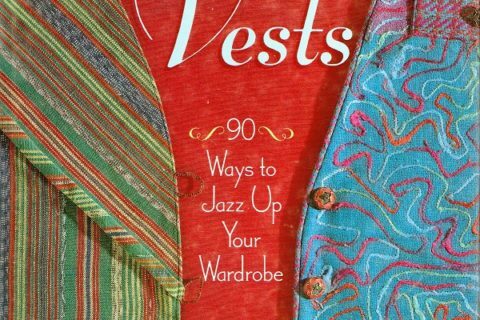 The instructions are well written and covers the basics as well as fit and tailoring. Clothing construction doesn’t change much, but styles, fabric, and equipment does. 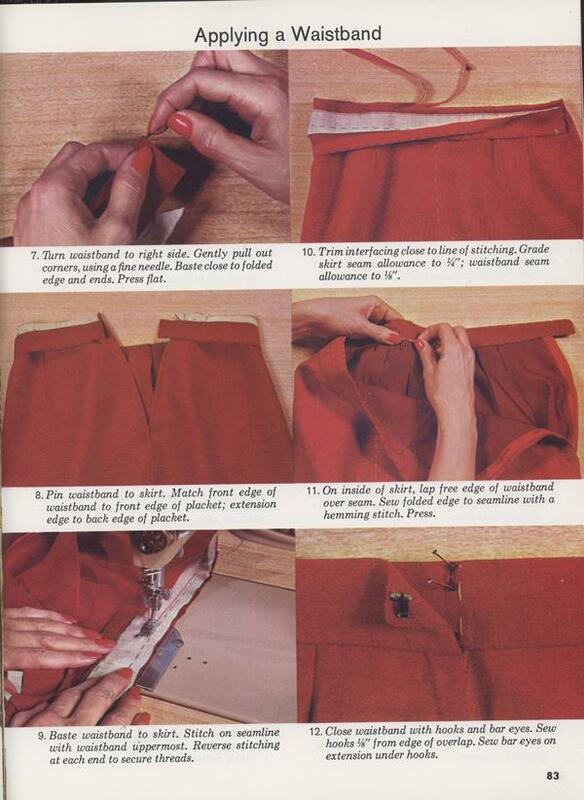 This publication was used to communicate sizing that reflected ready to wear sizing. I haven’t sewn in quite a while but my experience has been that even today, there is a huge difference between a size 10 pattern and a size 10 off the rack. Gotta love the paisley dress although the model looks like she is in some kind of trance. 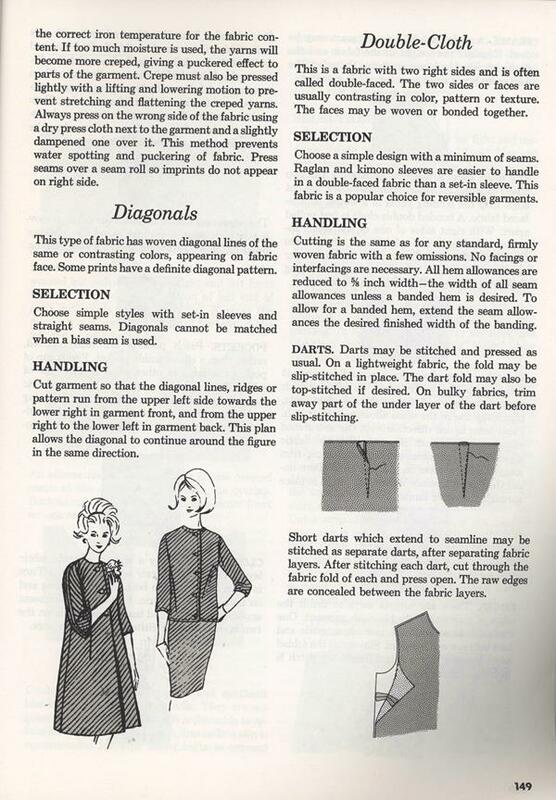 I would also argue a good reason to drop the book is because of the slip dress over the model when showing how to take measurements. If you want a good measurement, then we probably shouldn’t be imagining what’s behind the slip! Huh? If the model will be wearing the slip under the final dress, it’s not a bad idea to measure her over it. 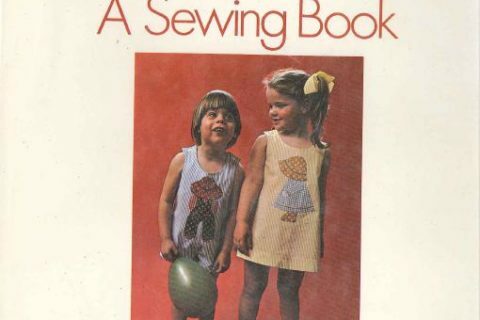 I don’t sew, but McCall books always have a place in special collections. Not so in general circulation. 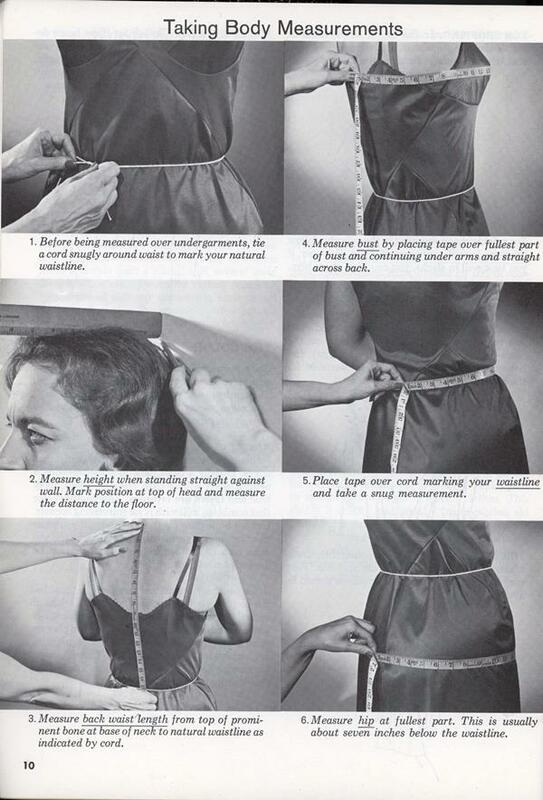 Aren’t you supposed to take measurements over the undergarments that will be worn with the finished garment? If a dress, for instance, requires a full slip in addition to a bra and underpants, you take the measurements over the slip, bra, and underpants. If you’re making a shirt, take measurements over the bra or undershirt you expect to wear with it. 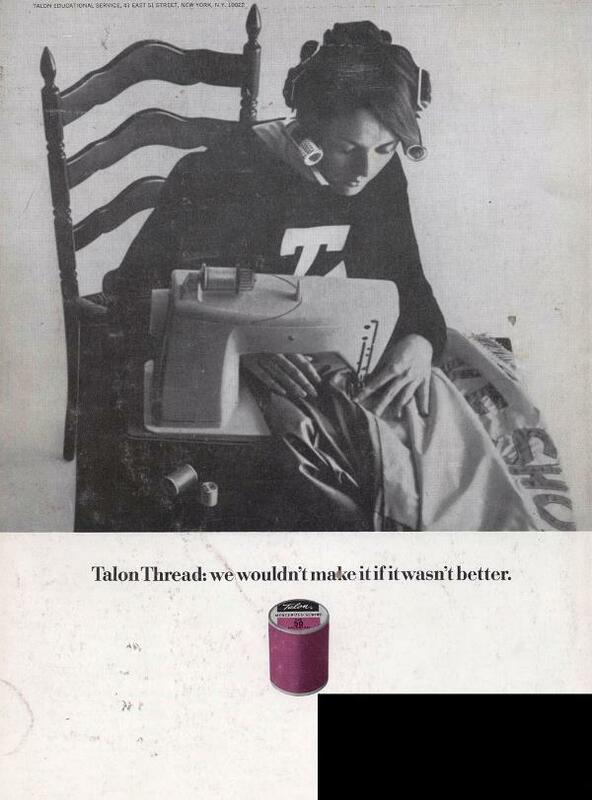 The picture in the thread ad reminds me of the time my friend had to whip up a new dress real quick for some event the next day. It was a frenzied evening, but she whipped up her dress. 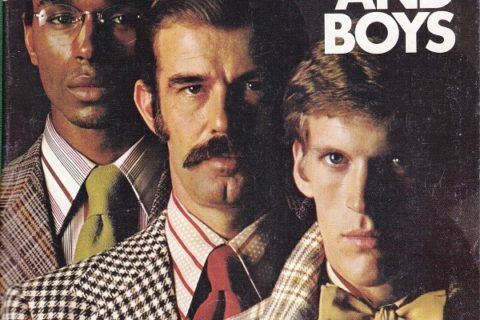 That cover model looks like it belongs in that Twilight Zone episode, “The After Hours”. Model? Surely that’s a wooden dummy. I was going to say, “Surely, no living human holds her hands like that.” But I don’t know… usually, mannequins have a rod or something holding them up in addition to their legs. Maybe she’s an experiment in taxidermy? She’s holding the pin cushion for the tailor. 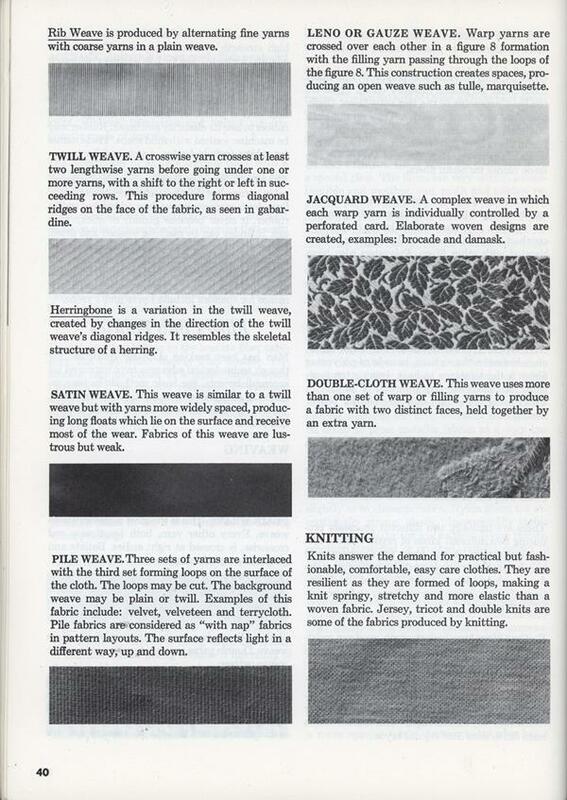 I love vintage sewing books. The techniques don’t change, so they are useful. 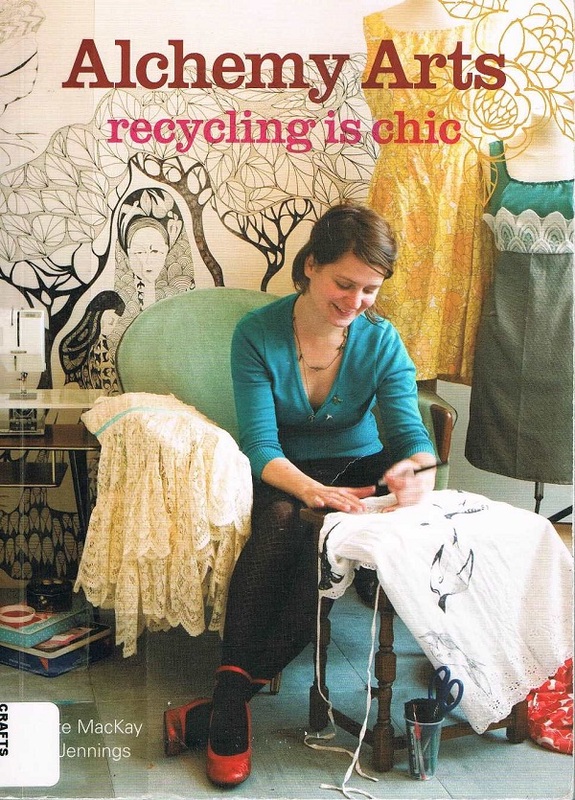 And it’s fun to look at the outdated fashions (and decorating). I’ve bought several at library used book sales. I would buy this one. 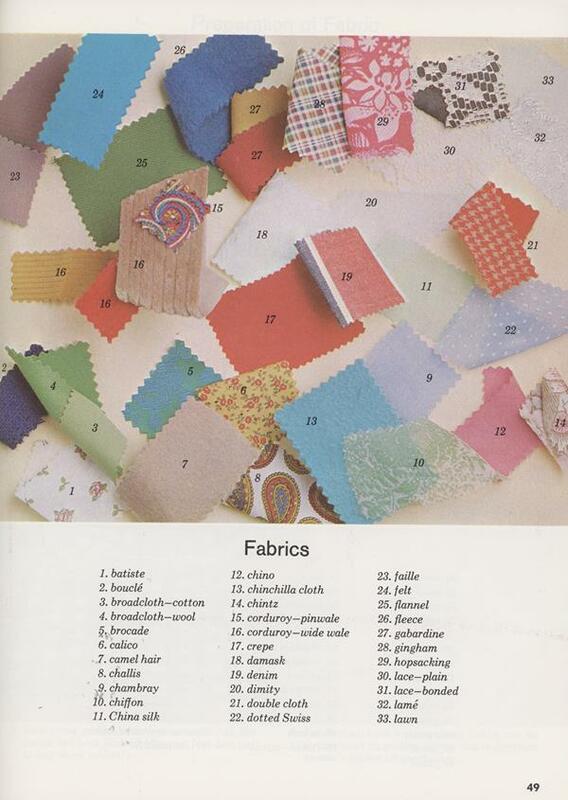 My problem with this book is the colorful picture spread of fabrics. It’s pretty but it tells the reader nothing about the texture and weight of the cloth being presented. 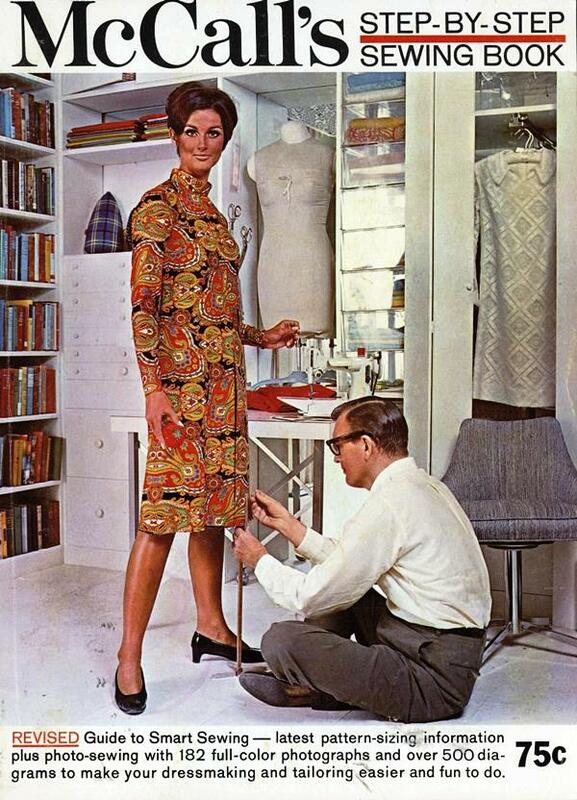 I feel like that woman isn’t standing the way she should if she wants a straight hemline.